Well, that may be exactly what one is looking for. A beautiful, quiet and misty lake, with very few tourists, without the usual hectic,… the ideal setting for an inspiring and romantic retreat. When the lake sheds its summer glory to reveal its intrinsic beauty, stripped of all frills, just pure and awe-inspiring, it is so evocative of the days before tourists overran the lakeside villages. 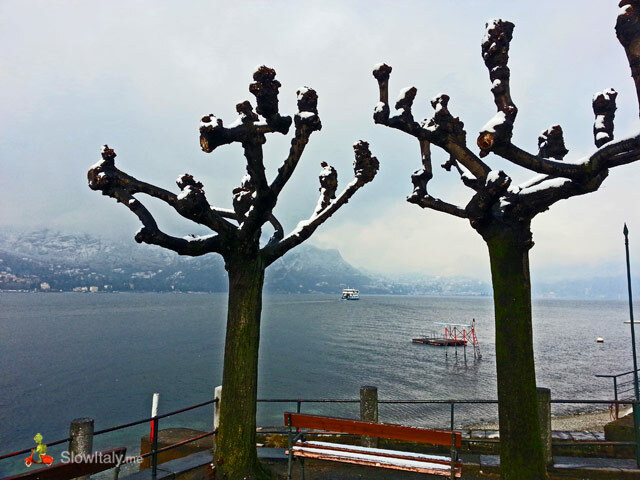 Admittedly, for someone who has never visited Lake Como it would be a terrible shame to only see it in the middle of the winter. 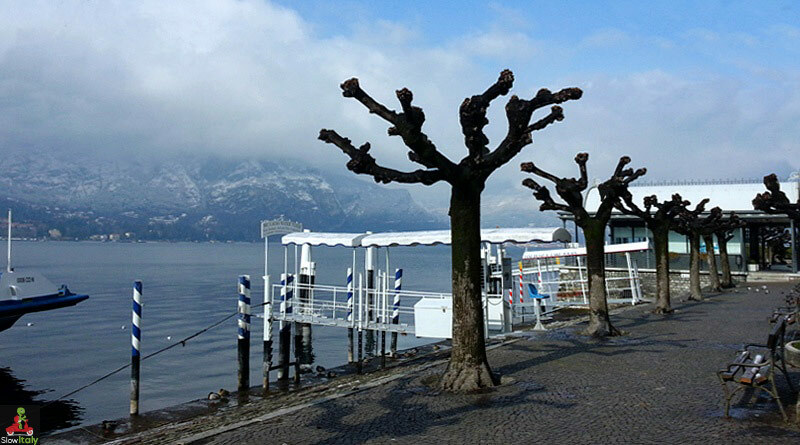 However, if you have visited the beautiful and bustling Bellagio in the high season before, it may be a relief to enjoy a retreat in such an amazing scenery, precisely when it comes to rest, revealing its intrinsic grace. On a sunny, snowy day, the colors of the lake are amazing, offering a wonderful palette of shades of shimmering silvers, whites and blues. The snow capped mountains, clear blue skies and puffy clouds create an incredible backdrop to the peace and serenity of the lake. Ferry departure point facing caffè Rossi, under the arches. Even though the town was clearly in hibernation mode, we did find several cafes and restaurants open. 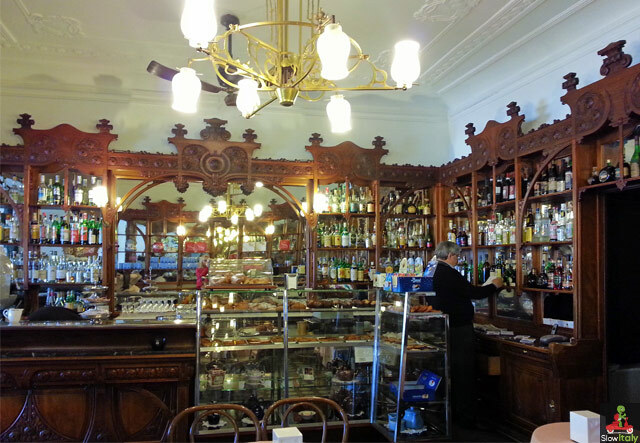 After a walk along the lake side promenade and through the lovely inner streets, we had a coffee at Bar Pasticceria Rossi (on Piazza Giuseppe Mazzini, under the arches opposite the ferry departure point), a historic cafe with Liberty-style interior that has existed since the early 1900’s. Celebrities such as Romy Schneider and George Lucas spent some time here. In the high season the cafe is always crowded, making it an ideal spot for people watching while enjoying the good weather on the terrace overlooking the lake. However, if you are lucky enough to find a spot inside (which is much easier in Winter), you will find it really worth spending some time here, admiring the wonderful interior, a lovely setting where to warm up with a hot chocolate after a crisp winter walk! I could well imagine myself sitting there for hours, soaking up the atmosphere and writing down my memories. Totally inspiring! For lunch I had a delicious tagliata di manzo (and I am picky as far as tagliata is concerned!) at Restaurant-Pizzeria Carillon, on the lake side promenade. They also serve a typical dish called Pizzoccheri alla valtellinese that you have to try at least once in your life! Pizzoccheri are a type of short tagliatelle, made with 80% buckwheat flour. 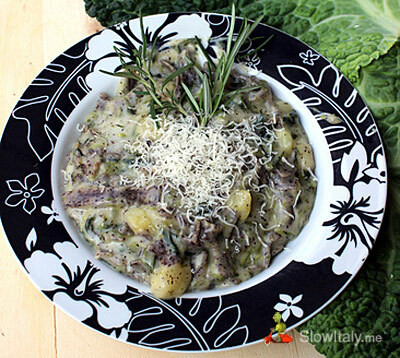 The recipe includes cabbage (or Swiss Chard), cubed potatoes, Valtellina Casera cheese, garlic, sage, butter, …an odd combination at first sight, but the result is surprisingly tasty,…earthy, hearty and very heavy (as you can imagine from the description). An ideal winter pasta dish! Now comes the best part. Actually, we are a little hesitating to share one of our favorite rooms in Bellagio (but what wouldn’t we do for our Slow Italy readers!). 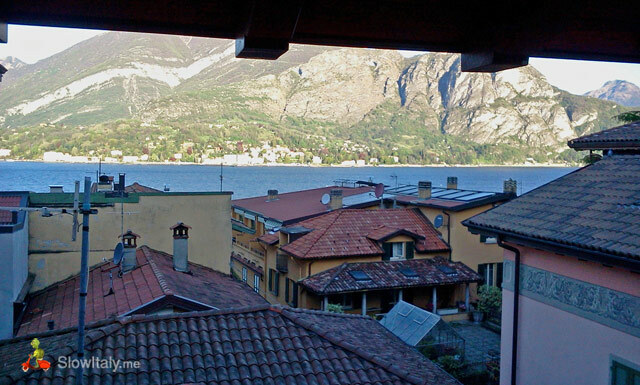 A room with lake view for a very reasonable price, is that possible in Bellagio? 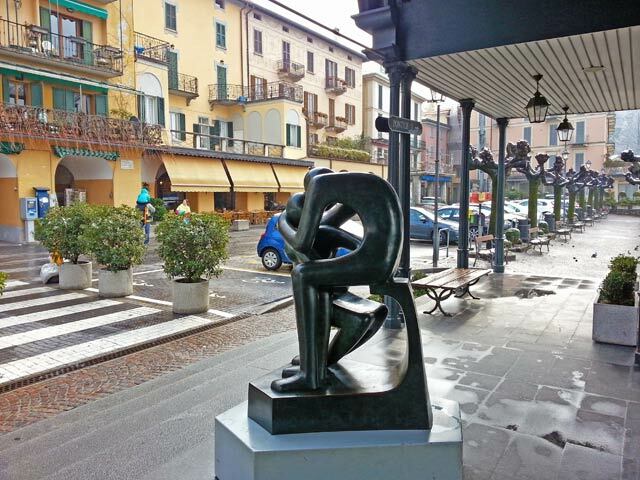 Well, indeed it is: Residence Antico Pozzo in the very center of Bellagio (actually in one of the most beautiful streets connecting the main street to the lake front) has a studio with lake view for 95€/night. For that price you have a spacious room with private bathroom AND fully-fitted kitchen (which is convenient when you don’t want to eat out every day). Admittedly, you can only really admire the view when lying on the bed, as the window with lake view is just above the bed head, but isn’t that precisely what makes it all so romantic? 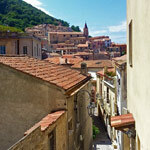 There is only one such room in the residence; rooms without view start at 88€ (prices at this time of year). Navigation on the lake goes in slow mode in winter. For boat schedule see the site www.navigazionelaghi.it. 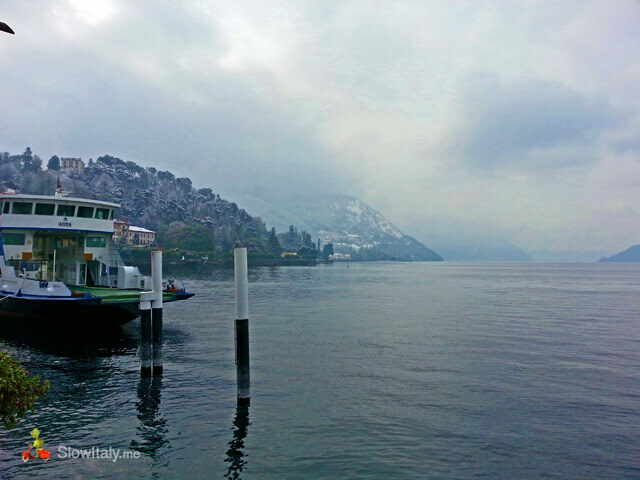 Regular navigation on Lake Como starts on March 24th; in winter different reduced schedules apply. Note that most of the beautiful villas are closed, as the ideal period to visit the gardens is from April to June. 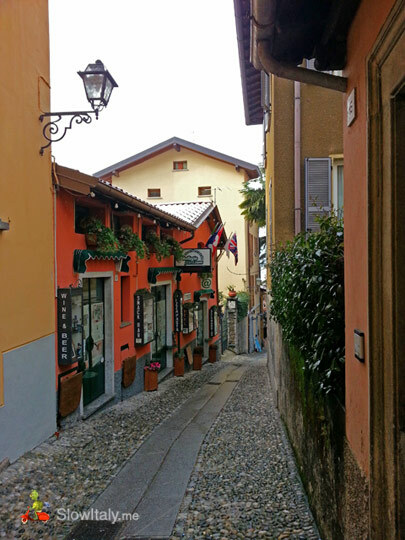 You may also want to visit Varenna, equally very quiet in the off season, but nevertheless beautiful, but if you are in for something a little more lively, Cernobbio and Argegno, are fully open and very romantic! Photo credits: all photos © Slow Italy, except Pizzoccheri photo © ucius/Fotolia. ← Alberto Sordi, Italy’s movie legend or ‘Albertone Nazionale’.